An anti-aging treatment with high-performing star ingredients Organic Bear berry, Organic Algae and Organic Eye bright stimulate cell regeneration, improving the quality of skin's collagen and elastin fibers. Using the most delicate silk fiber cloth fits perfectly the curves of the face and helps to improve the organic serum and natural silk fiber cloth to bond within the skin to create a firm supportive network. 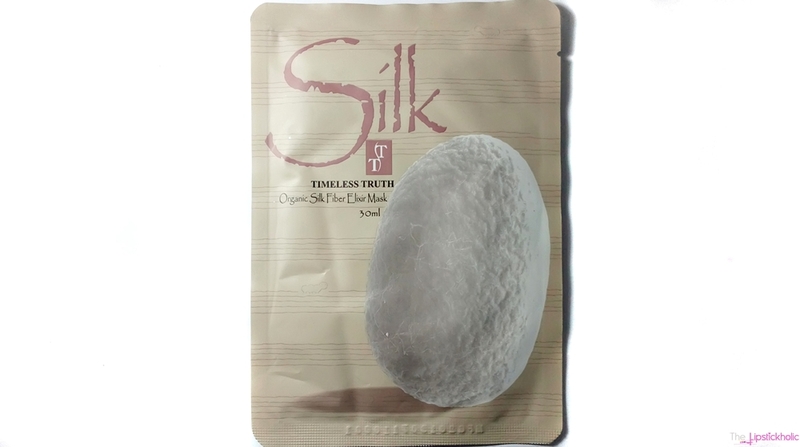 TT Organic Silk Fiber Elixir mask delivers a soft comfort and for a visible lifted face. Use after face cleansing, unpack the mask and remove white plastic film. Gently place mask onto face with blue plastic film facing outwards. Remove the outer blue plastic film and adjust mask to adhere entirely over the skin contours positioning openings for eyes and mouth. Remove mask after 15-20 minutes and gently massage the remaining essence into skin. Post cleansing is not needed. Apply skincare products thereafter to lock in moisture. This pack contained one face mask that consisted of 3 ultra-thin sheets/plastic films. The instructions to use the mask were written on the back of the pack which I have mentioned above. I applied the mask following the above mentioned instructions. I must say the mask was a bit trickier to apply. However, once I managed to apply it properly on my face, it felt very calming, soothing and hydrating. I didn't feel any tightening of skin which I usually feel when I use any other face mask. I applied this on my face for about 15 minutes and then removed the mask gently. After removing, I gently messaged into my skin the remaining product or essence that was left on my face. I didn't feel the need to wash my face afterwards as there was no oily/greasy feeling after using this mask. However, I still washed my face as I am habitual of washing my face after using any face mask or cleanser. Now talking about the results. My skin felt really soft and supple after using this mask. There was just one mask in the pack so I could use it just once. However I could still see and feel a clear difference in the condition of my skin after using it. My skin felt really fresh, clean, hydrated and nourished without being greasy or over-moisturized. It felt just perfect. I won't say that this mask actually tightens up the skin. But yes my skin did feel much smoother after using it. I have pretty sensitive skin and am glad that this mask was gentle on my skin and it didn't cause me any kind of irritation. Here is a before and after picture of the results of this mask. Well am quite pleased with the results of this face mask with one time use and would love to try it again to see its long term results. However, I think this mask is a bit pricey and unfortunately it is not available in Pakistan. But as far as the results are concerned, this mask performs really well. It is in enriched with some high-performing organic ingredients which are really beneficial for skin. It is gentle on the skin and hydrates and nourishes the skin well. Overall, a nice face mask that immediately hydrates, soothes and freshens the skin. Price & Availability: This mask is available online at Timless Truth Website for NT$240 that is almost PKR 780/- for one pack. 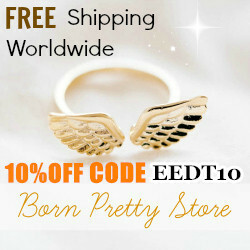 Don't forget to check their website and Facebook page to find out more about their products. Also available online at The Beauty Mask Uk for £8.90. I saw it available at Ebay and few other websites too for different prices. I got mine from Natasha Kundi of Natasha Kundi's Blog. Don't forget to visit Natasha's blog and follow her on Instagram too. 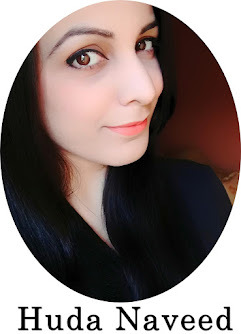 If you are a blogger then do visit Bloggers Time Website and join it on Facebook and Twitter too. Looks like s good mask. I can see freshness on your face after use. Glad u like it too. Yes it is amazing. Wish it was available here in Pakistan. 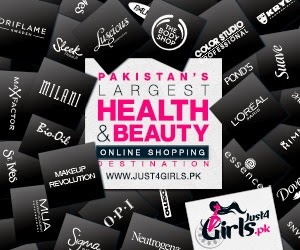 Great review , I can see huge difference before and after application but its bad that not available in Pakistan and yeah it is pricey for one pack. Looks like a good mask but sad to hear that it might not be for my skin type. There is a visible difference. Seems like a great product.